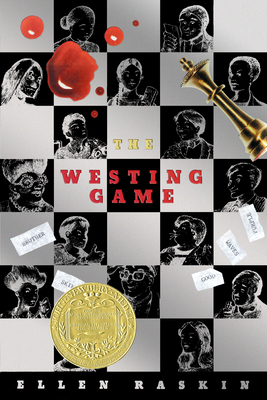 For twenty-five years, Ellen Raskin's Newbery Medal-winning The Westing Game has been an enduring favorite and is now being reissued with a brand-new jacket by Kevin Hawkes and an introduction by Ann Durell. This highly inventive mystery involves sixteen people who are invited to the reading of Samuel W. Westing's will. They could become millionaires, depending on how they play the tricky and dangerous Westing game, which involves blizzards, burglaries, and bombings. Ellen Raskin has entangled a remarkable cast of characters in a puzzle-knotted, word-twisting plot filled with humor, intrigue, and suspense.